PayPal has released an update to its iOS and Android apps that is pretty significant — it’s been redesigned from the ground up for its users in nearly 125 markets. The intent is to showcase the company as something more than just an ATM, and to prove to the world that it can help consumers find what they want, when they want it, right through their mobile device. The redesign of PayPal’s app isn’t much of a surprise as it was alluded to during a meeting we had last month when a sneak preview was offered. However, as part of this release, users will find several new features, including the ability to order ahead, pay at the table, provide coupons and offers, and have a built-in credit line through Bill Me Later. We met with PayPal’s Hill Ferguson, its Vice President of Global Product, who gave us a demonstration of the new app. 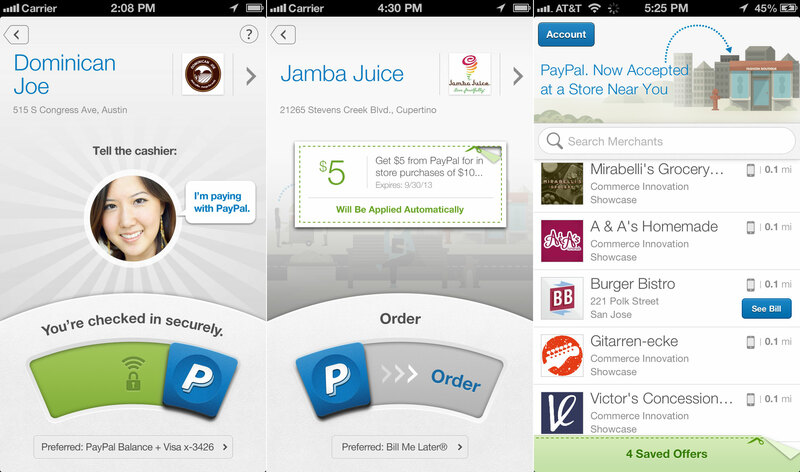 It’s a vibrant looking app that seeks to help consumers find places that accept PayPal as payment. The app is heavily reliant on your location, which makes sense because of its check-in feature. By checking in, you are notifying the merchant that you’re there so that they’ll be able to give you better service through a profile they’ll be able to build around you, especially if the retailer is using eBay’s Retail Associate Platform. However, by checking-in, it also opens the door to providing consumers with coupons or offers that may incentivize them to shop at a particular merchant. It’s not like Foursquare where you can become mayor of the store and receive a special discount — interestingly PayPal says it views Foursquare as a partner, not a competitor. Ferguson says that it’s akin to Google AdWords, but a managed solution whereby merchants will need to contact PayPal initially to get their ad placement. To motivate consumers to use this redesigned app, PayPal is giving $100 worth of offers to everyone to use in local US businesses. Ordering ahead is something that PayPal mentioned to us last month whereby consumers can place an order at a business and pick it up by skipping the line. Think of it like a reverse Postmates where instead of having your purchase brought to you, you can order it right from the app, having access to the full menu, and just go in and pick it up minutes later without having to wait — just pay by PayPal. Originally this was available only in 7 Jamba Juice locations in the San Francisco Bay Area and 2,000 retail stores in Australia. However, today, the company is expanding the program so that you can order from thousands of Eat24 restaurants. PayPal has a service called Bill Me Later, which is almost like a virtual credit card. It is expanding the scope of its use with the redesigned app where you can now finance your purchases using the Bill Me Later service. Everyone’s credit line is different so if you decided to purchase a new bed in a store that accepts PayPal payments, you could opt to use Bill Me Later versus your credit card. Why? PayPal is hoping that you’ll find its financing and promotional offers such as “six months to pay on purchases of $99 or more” compelling. This is perhaps one of the most interesting features that I think PayPal has to offer in its mobile app. When you go into a busy restaurant and finally find a table, how often do you have to wait to receive service or place an order? 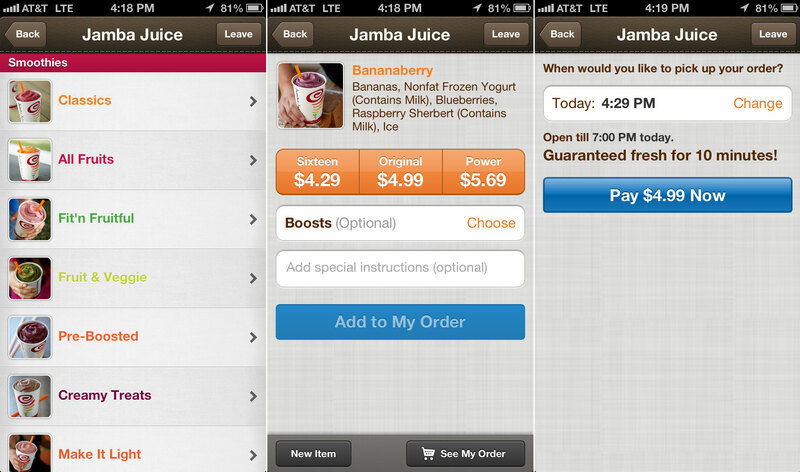 PayPal is hoping to expedite the service and help restaurants with turnover using Pay at Table. How it works is that once seated and the initial order is placed, consumers can use PayPal’s app to easily request more of any of their pre-ordered items. So if you had some wine or a specific appetizer and would like another, take out the app and place the order. The request will be sent to the restaurant and, in theory, whatever you’ve ordered will arrive quickly. Of course, paying the bill can be done easily through PayPal. Ferguson says that this will only work today with existing items that you’ve ordered, but eventually it will include the entire menu. Also, it’s dependent on the waiter to provide a check number for you to input so that they know which table to bring the item and assign payment to. 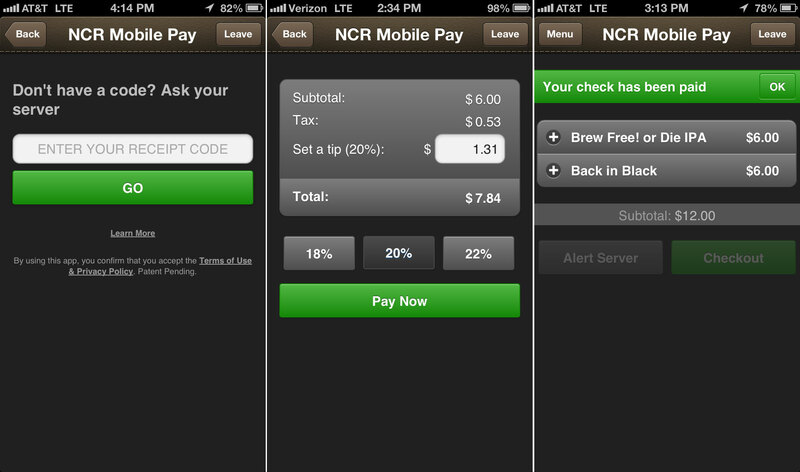 Pay at Table has been beta tested in New York City. For many, PayPal has always been that service that lets you send money to other people and companies. And it needed to be something more, especially when you think about the presence Square and Google Wallet has in retail merchants. The company needs to show that it can help better connect the business with the customer and show that it can help throughout the entire shopping process. The redesigned mobile app is PayPal’s first step into it as it will help you navigate your way from finding out what you need to showing you where to get it, and giving you a way to easily buy it. However, one must wonder why it has taken PayPal so long to implement these features when other services have sprouted up to challenge it. 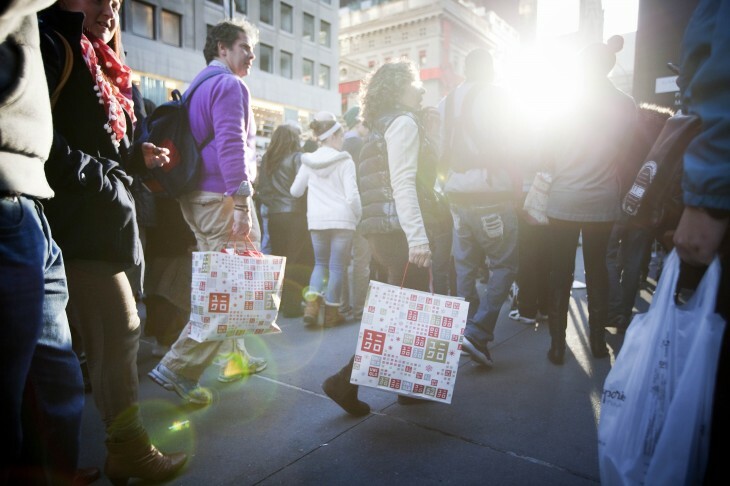 Finding merchants is something you can already do with Square and others, so how is this new app going to stand out? Maybe it’s not worried about it since PayPal has more than 110 million active users and a growing number of businesses accepting this form of payment around the world.